Barkerville was established in 1862 when Billy Barker and his partners found rich gold deposits deep in the gravel . The town was the service centre of the Cariboo Goldfields for 96 years. In 1958 it became a British Columbia Heritage Site and remains so today. 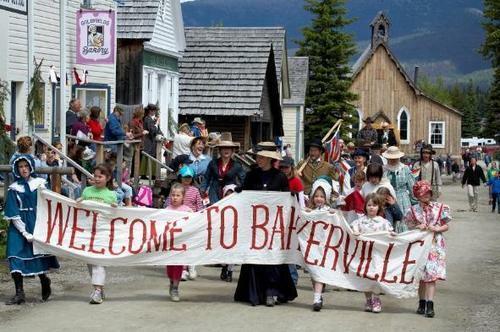 Visit Barkerville between mid-May and the end of September when the street scape is alive with 130 heritage buildings, live theatre and special events, informative and entertaining interpretation, and over twenty shops that bring to life the history of Barkerville, the Cariboo and British Columbia.